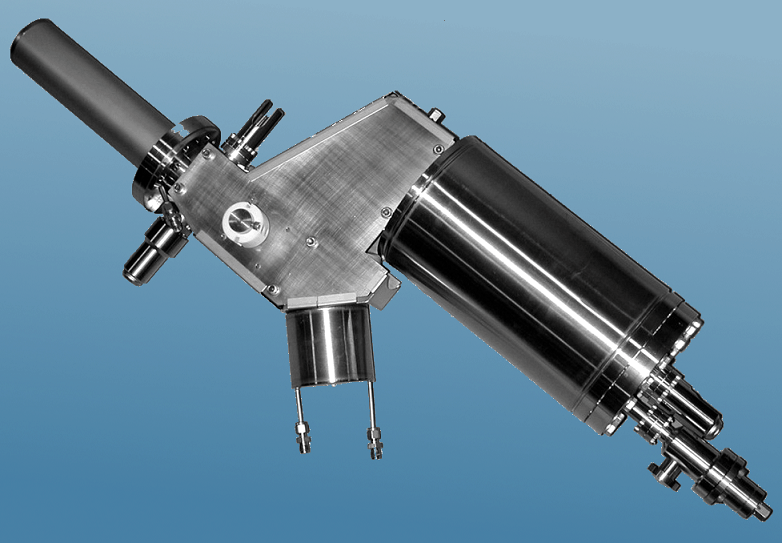 The valved phosphorus cracker source is used to generate a molecular beam of phosphorus (P2) from a charge of red phosphorus. The red phosphorus is first converted in to white phosphorus. The white phosphorus is then heated to produce phosphorus (P4) which is directed through a control valve to a thermal cracker. The thermal cracker cracks P4 molecules in to P2 molecules. The red phosphorus container and heater are separated from the white zone with an all metal heated valve. 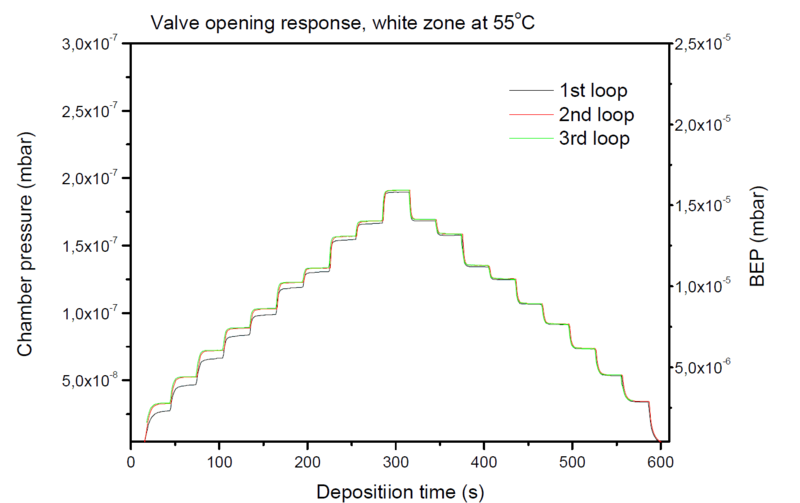 During growth the valve between wihite and red zones is closed and only the white zone temperature needs to be regulated. This results in extremely stable phosphorus flux and fast growth start after red to white conversion. In conventional phosphorus crackers the white and red zones must be temperature controlled continuously. The design also allows refilling the cracker without venting the growth chamber or the white phosphorus container. The patented cracker (US patent 7,820,125) is available with 1000 cc red phosphorus volume. Other sizes available on request. Valve opening and closing response. 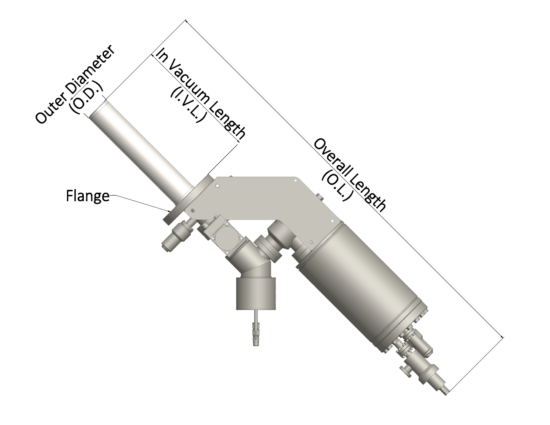 The graph shows the chamber pressure and beam flux monitor reading when the control valve is ramped open and closed.